Sus joined Jenny and a bus load of students for a history field trip to Saint Augustine. The weather was beautiful and we had a great time visiting some of the historic sites and museums. We saw carpentry and smithing demonstrations in the Spanish Quarter, then headed to the museum in the Government House. 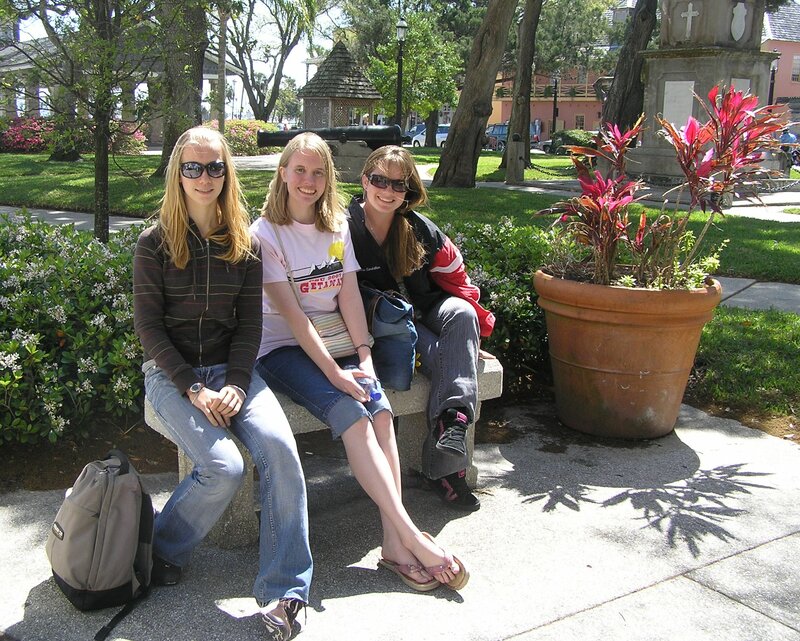 In this photo are Klare, from The Czech Republic, Jenny, and Stephanie. You can see more photos from several different trips to Saint Augustine when you click here. Find restaurant coupons for St. Augustine at restaurant.com before you take your trip.